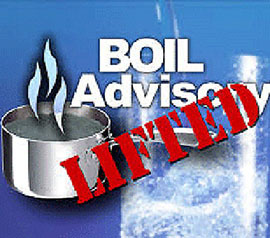 The boil advisory for Natchitoches Water System, Waterworks District #1 for the Oak Grove Area (Hicks Rd. and all side roads) has been rescinded after the samples collected on March 28, 2018 cleared. Thank you for your patience during this time.